We are happy to announce that our eStore is open for business! 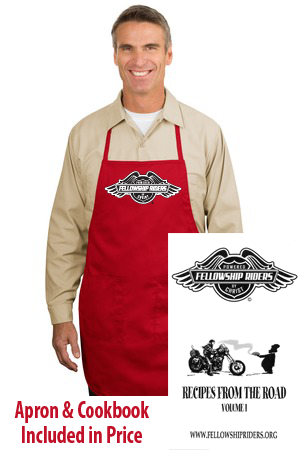 This is your official source for customized Fellowship Riders apparel and accessories. Please keep in mind that a portion of all sales comes back to FRI. To shop, click the link below. Thank you for your support and happy shopping! Reflective Vest Patches – Available in 2 sizes; 15-1/2”W and 12”W; these patches feature black embroidery on a white, reflective background material for increased visibility day or night. Large 15-1/2″ W reflective patch $30.00 plus shipping. Medium 12″W reflective patch $25.00 plus shipping. Old Style Vest Patches – Due to the large size of our new reflective patches, we have answered your request for smaller patches. 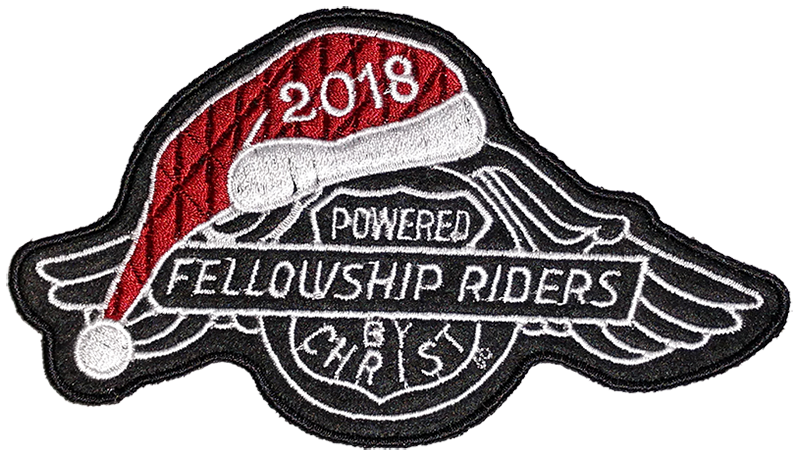 As the reflective patches are special order and it is cost-prohibitive to produce these smaller patches in a reflective material, we now have embroidered patches in the original Fellowship Riders style in 12”W, 10”W and 5″W for those wanting a smaller patch. Large 12″W patch – $21.50 each plus shipping. Medium 10”W patch – $15.00 each plus shipping. Small 5″”W embroidered patch – $8.50 each plus shipping. 2018 Angel Tree Patches – Let’s honor our riders with a patch to remember their service to these children and those parents in prison. Available now so you can provide to your riders at the time of your gift deliveries. Cost is same as last year at $5.00 each plus shipping. 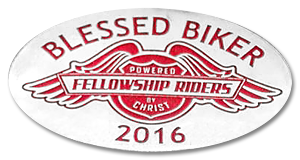 2016 Blessed Biker stickers – Bless riders the Lord puts in your path with these stickers. As in past years, they are printed on aluminum foil and are available in quantities of 100 for the cost of $10 to cover shipping and handling. Let’s speak blessings over all whom He purposes for us to meet and encourage as we go out in Jesus’ matchless name. 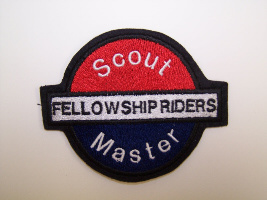 The leadership of Fellowship Riders is committed to partnering with your ministries by providing tools and assistance to further the Kingdom of Almighty God and the message of salvation found only in Christ Jesus. Should you have suggestions how we might improve our support of your ministry, please share them with us. It is my prayer that the overflowing of God’s favor be manifest in your ministry in all of 2013 and beyond in Jesus’ mighty name. 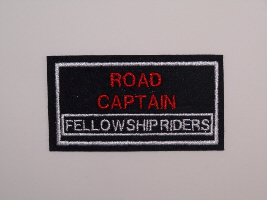 Custom rocker patches of your group’s name are also available. 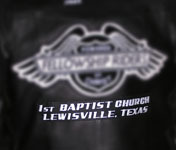 Questions regarding ordering your Fellowship Rider Merchandise, email [email protected] or call (214) 995-4346.